The Bears game is just starting... no fumbles! Zack is getting good at holding onto the ball. 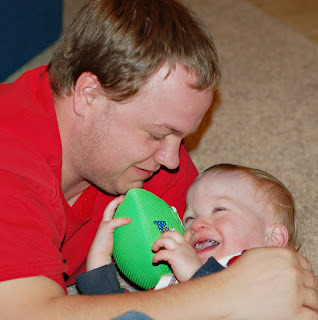 He loves playing football with daddy and getting tackled.